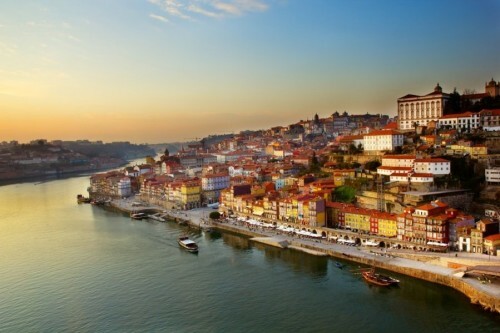 Cheap flights to Portugal: Porto from Berlin for only €49! Ryanair now offers very cheap return flights from Germany to Portugal for winter season. 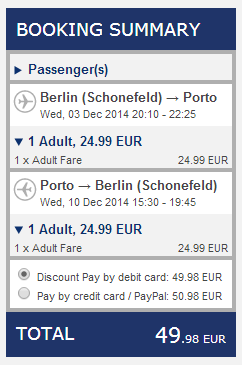 Return tickets from Berlin (Schoenefeld) to Porto are available for only €49! This price includes 10 kg cabin luggage up to 56 cm and one other smaller bag. Cheapest travel dates are in December and January. There are many other combinations available for higher price. TAP and Easyjet fly from Berlin also to Lisbon. « Cheap flights to India: Mumbai for €372!